When a politician speaks, you have to listen to what he says. In the case of PM Lee, he spoke about foreigners but really said nothing. In an interview with Ambassador-at-Large Chan Heng Chee, PM Lee said that he owed Singaporeans the responsibility to get the foreign worker balance right. It is an issue where honestly speaking, there are no easy choices. There are trade-offs,” said Mr Lee. 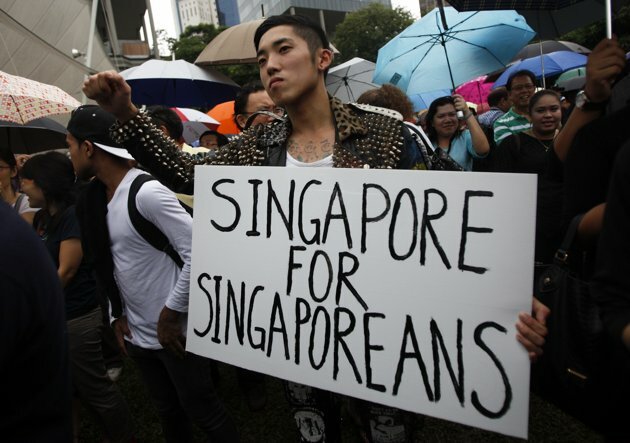 He did not however elaborate on what the character was or on the real issue that was really bugging Singaporeans, which was the influx of Prs and new citizens.